Le Cordon Bleu Adelaide Bachelor of Business (Food Entrepreneurship) student Daniel Han Kin Juan won second place in Study Adelaide’s 2017 International Student Awards on 20 October. This is the second year running he has been highly commended in the Entrepreneurship and Innovation category. Daniel’s innovative product, ‘Master Han Belly Good Crispy Pork Belly’, is a ready-meal product which lets home cooks recreate restaurant quality pork belly with crackling in just 15 minutes. Daniel developed his love of cooking during service in the Singapore Army, going on to complete a culinary cooking qualification to work as a chef. He is studying a Bachelor of Business (Food Entrepreneurship) at Le Cordon Bleu Adelaide to expand his food production knowledge, and believes his product has real market potential. 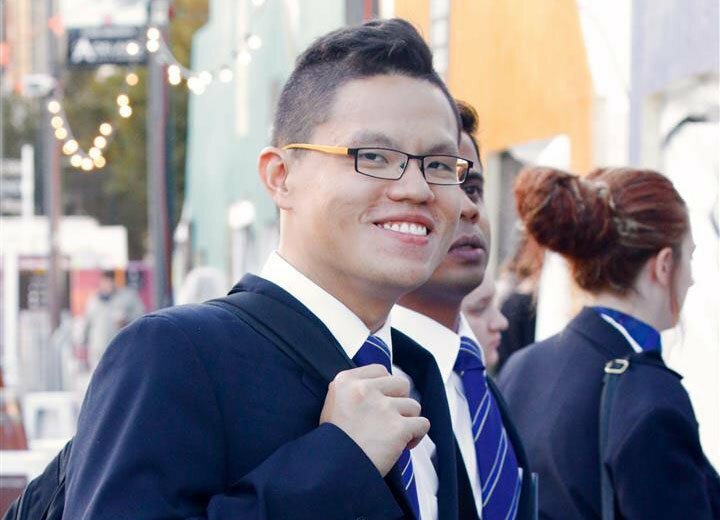 Before coming to Adelaide, Daniel worked as a chef in Singapore for six years. Networking with industry connections, he developed a series of products with Olga’s Fine Foods called 'The Sauce Boss' after industry research revealed the Australian market was interested in Singaporean crab sauce. Daniel has since excelled in his Food Entrepreneurship studies, and encourages fellow international students to come together regularly to share cultural dishes. 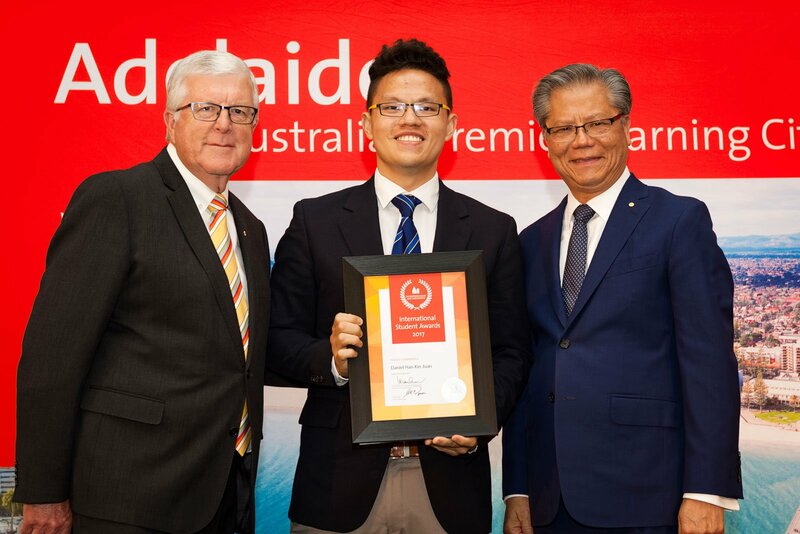 The Governor of South Australia, His Excellency the Honourable Hieu Van Le AC, presented the International Student 2017 awards to winners in eleven categories. Students from 14 countries including China, India, Malaysia, Vietnam, Jordan, Mauritius and France were recognised for their outstanding achievements.